Learn how deleting Photomyne’s photo scanner app from your device affects the photos you have created and used on your phone or tablet. This guide also applies to logging out of the app or switching to new device (i.e. deleting the app = logging out = switching to new device). 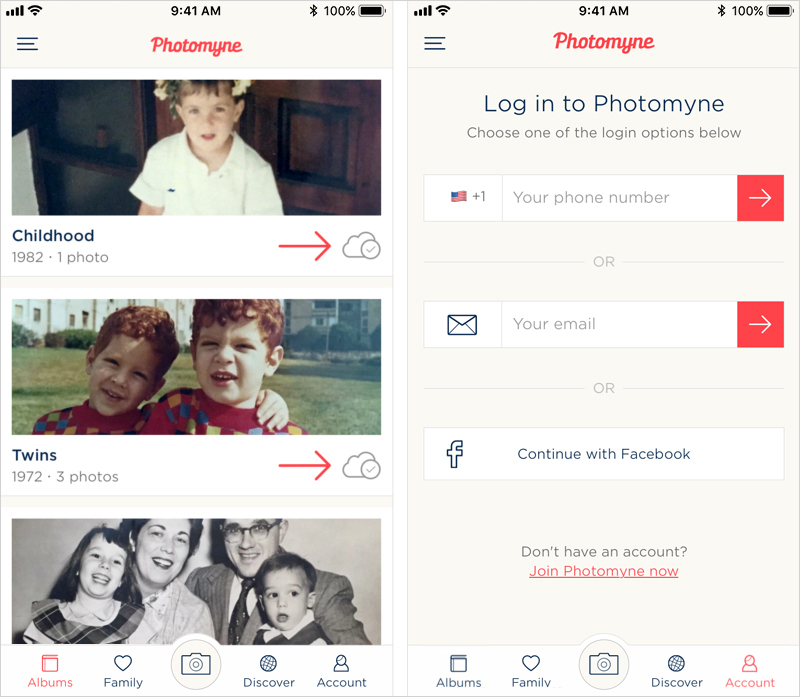 The photos and albums you’ve scanned with Photomyne’s photo scanner app remain on your device as long as the app is installed. Deleting the app or switching to new device will clear all scanned photos from your device. If you wish to delete the Photomyne app from your device or, if you plan on switching to new device and don't have an active backup plan, you will lose all your Photomyne photos for good, and will have to start scanning from scratch. Before deleting the app — make sure backup is complete. Look for the cloud + check sign icon on the cover of each album — this is your indication that all photos in this album have synced and are safely backed up on the cloud. Once installing the app again — log in with your Photomyne account credentials (user name and password, or Facebook, whichever method you used to first sign up). Make sure all your photos are backed up. Look for the cloud and check sign to confirm. Make sure you are logged in. Assuming these two conditions exist, you’ll be able to restore the photos you’ve created with the Photomyne app the next time you log in, whether it was on your current device or a new one. 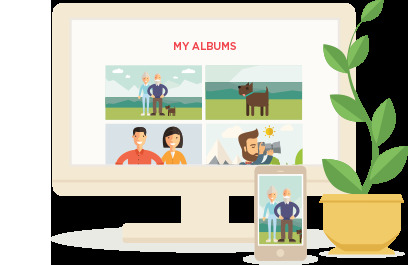 Join Photomyne to keep your photos safe and accessible. Always.